Superhero Prints | fun personalised prints for the super people in your life! 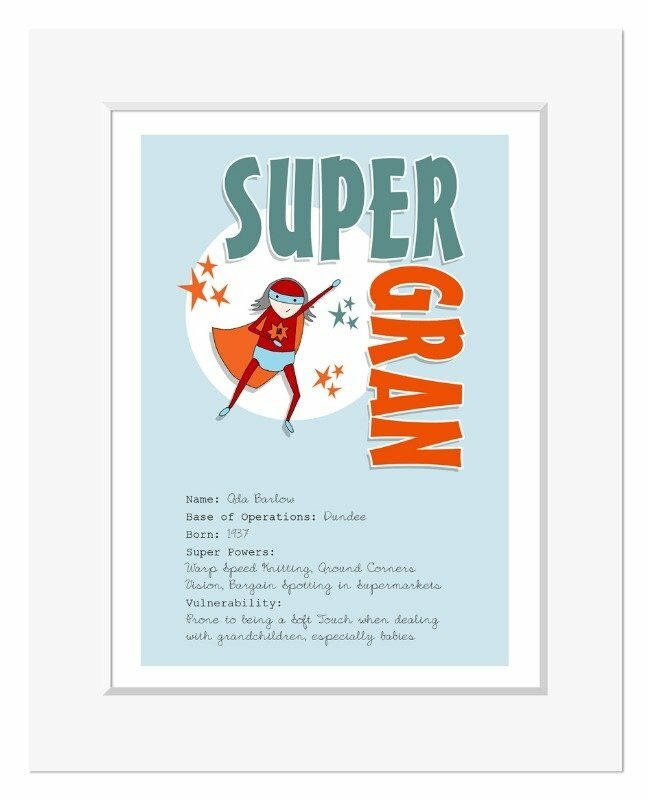 Does your loved one have super powers? No matter what the occasion, these fun personalised prints will be a lasting reminder of just how truly super-awesome they are! About the Print: Your artwork will be created to order and printed onto very high quality gloss finish paper stock. It will be presented with a backing board and smooth white finish bevel cut mount, and smartly presented sealed in a protective clear sleeve. The overall size of the mount is 10"x8" and will fit into any standard 10"x8" picture frame. Delivery: Your print will be posted in a strong hard backed envelope and will require a signature on delivery. Please allow approximately 1-2 working days for delivery. Order this version if you're ordering for a wonder woman, and you can choose their hair colour from the drop down menu too: the perfect present for Mother's Day or her birthday! 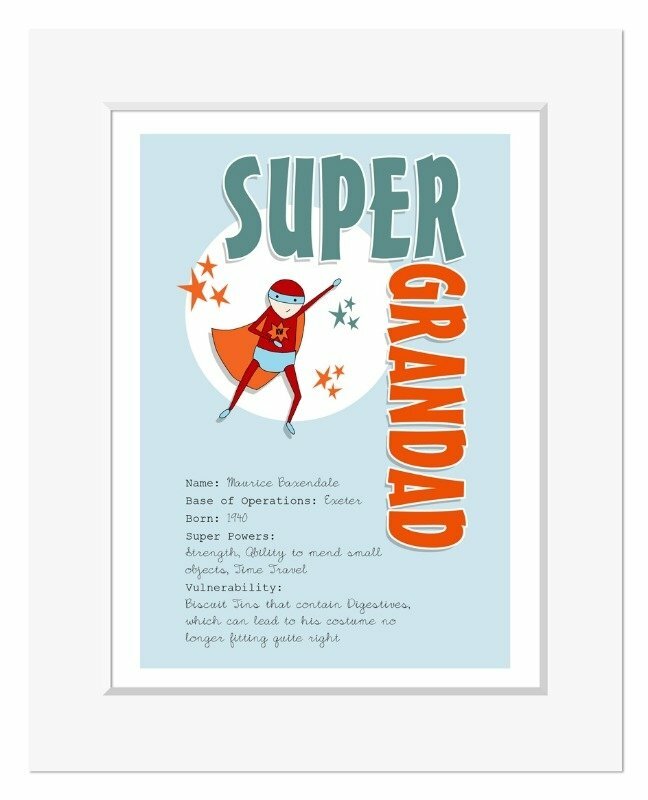 Order this version if you're ordering for a super chap - dad, grandad, brother, husband, etc: brilliant for Father's Day or that special birthday!